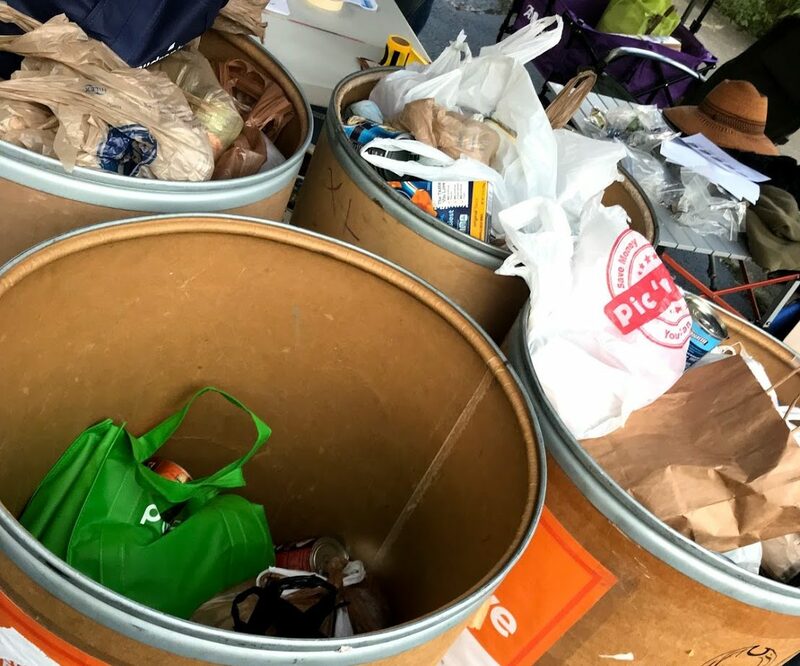 The Atlanta Community Food Bank has extended their thanks to Atlanta Pagan Pride for donating 937 pounds of food and $50 in gift cards. Way to Go! The program is available for you to download or view. See you on Saturday! Remember your cans for the food drive. So, I usually post my “Thank You” post a few days after settling down from the high of completing a Pagan Pride Day. This year, I am sending out that post, or an additional one, a little early for a special reason. This year marks 10 year that I have been coordinator for Atlanta Pagan Pride. So, even though we are a week away from what I fully expect to be a great event and are already planning toward 2019, I want to give an early shout out to some special folks who have helped put this event on for the Atlanta community over the past decade. These are the folks, without which, this event would really not have been able to continue on and grow each year. Thank you in advance for this year’s event! First, big, big thanks go out to Lady Mehurt, who has had many titles over the years but really has been the accomplishment master of many logistics tasks, coordinator of the kitchen, solver of problems, and all-around right-hand woman. And Emerald Dawn who has kept the books kept, made sure the forms signed, helped with vendor shuttling and many other things throughout the day. Both of these ladies have helped with making sure all the big and little things have been planned and making sure that so many other critical things that you don’t see, but that need doing, have been done, for the full 10. Also, big, big thanks to Lady Maia, Lady Astraea, and all the Ravenwood folks for being sponsors, volunteers, and always having folks who are willing to pitch in and help where needed. Whether it has been a need for a class to be taught, a ritual to be led, more signs to be made, a truck that needed loading, chairs that needed moving, or whatever, they have been willing to jump in and help. That kind of willingness to help is just amazing when you are putting together a big event where there will inevitably be things that need doing. They have truly lent support toward Atlanta Pagan Pride taking place in so many ways over the years that I truly can’t list them all. The Unicorn Tradition – Donna, Alyssa, Haven, Nee, Ben . . .
Big thanks to all of the Unicorn Tradition folks including Donna, Alyssa, Haven, Nee, Ben, and many others, who have donated and pitched in with pre-event tasks, day of event tasks, and helped in many, many ways from cooking & baking to sign making, kitchen working, help with setting up and taking things down and so much more. 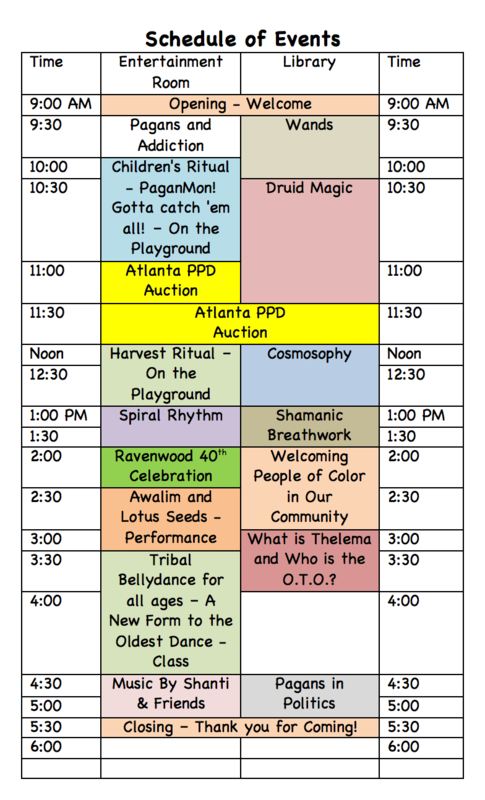 Also, being our grove-mates, friends, and family, these folks have lent support to Mehurt, Emerald Dawn and I to do what we needed to do to pull Atlanta Pagan Pride day together. Special thanks to our many entertainers over the years, with most special gratitude to the ones who have been part of our event for nearly every one of the past 10 years. Yes, I am talking about you, Arthur Hinds and Spiral Rhythm. Y’all have added the energy and magick of sound, which is truly a wonderful gift. Two folks who have joined us in more recent years, but who have quickly become very, very important members of our team, are Bill and Crystal. I don’t even remember the exact year either of them joined in, but it feels like they have been there forever. You two have lent a lot of help and support and have played a big role in helping to plan out pre-event logistics and in keeping things running smoothly on the day of the event. Big thanks to both of you. Big thanks to Bill who, among many other things, has always been willing to help plot out the map, mark out the spaces, and help early morning folks get to where they need to go. Aside from being willing to pitch in where needed, Bill always seems to be the person with the tool, the truck, the extra light, the program that can help us plot the map, etc. Also big thanks to Bill’s wife Susan, who has been great with pitching in as well, and patient with all of my crazy phone calls and texts LOL! Big thanks to Crystal who not only is great with helping out with logistics and many other things that help us to run smoothly, also wins the award for the cheeriest morning person, or afternoon person for that matter, with Atlanta Pagan Pride! Your smile and great energy help keep us all going! Big thank you to the many workshop presenters! Thank you to our wonderful vendors, and thank you for everyone who attends and brings cans for the food drive and positive energy to the day! For the many folks who have volunteered over the years and who have continued to help to make this event possible, you have been, and continue to be, amazing! Lots of gratitude for all that you have done and continue to do! By the way, I am already making plans for 2019, if you are wondering how you can get more involved with Atlanta Pagan Pride and possibly go from volunteering for a day to being part of our Atlanta Pagan Pride team, it is super easy: # 1 =Show up, then be willing to pitch in where needed, show us that you are honest, dependable, show us you can get along with other members of the team and can be helpful. We could always use help. Want to know what you get in return? Our gratitude J, also, that warm feeling that even though very few people really know who you are or what you do, that you helped to make sure that pagan faiths and practices are more visible in the Atlanta community and that you helped some people to have a great day, or possibly helped them feel less isolated. Also, those who are members of our team get invited to join us for our super exclusive after event dinner, fun planning sessions, and you also get a groovy t-shirt. 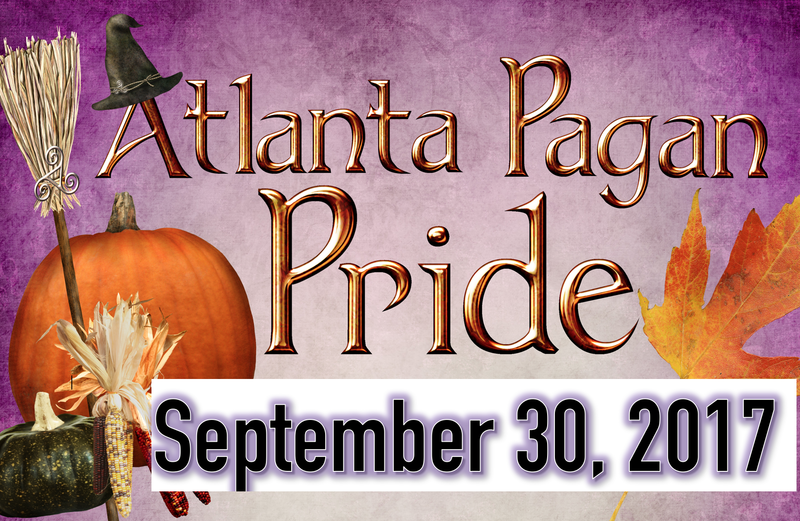 Atlanta Pagan Pride Day will be taking place at 701 West Howard Avenue, Decatur, GA 30030 – Saturday, October 20, 2018 – 9AM-6PM – Rain or Shine. This is a free event but we ask you to bring your cans for the Food Drive! Hot off the press! Looking for additional information? Remember your cans for the food bank! Share the harvest – Bring Cans!!! Hello Atlanta area pagans! This year’s event will be on Saturday, October 20th, 2018. We will be returning to the Friend’s Meeting, so please make carpooling plans early :-D. Information will be posted as soon as it is available. Rule of thumb is that if it is not posted, I don’t have it available. Performers: We have two fantastic performers confirmed, Arthur Hinds and Spiral Rhythm! Looking forward to their great music and energy! We will post more as the information becomes available. Vending: I know many are wanting information on vending. I will be rolling out vending info in waves over the next couple of weeks. However, please know that our vending space is limited and that we do run out of spaces. Additionally, in an effort to host a more balanced event, and to preserve as many mobility needs parking spaces as possible, we will be cutting back slightly on the amount of vending slots available this year. If you are wanting to find a way to get more involved with Pagan Pride, especially if you are not an experienced vendor, I would strongly suggest planning to get involved in another way such as volunteering to help on event day, or in putting in a proposal to lead a class, workshop, or craft activity. Volunteering: We do have a need for volunteers! Hot off of the press! We are quickly approaching our event, and we are looking forward to a wonderful day! 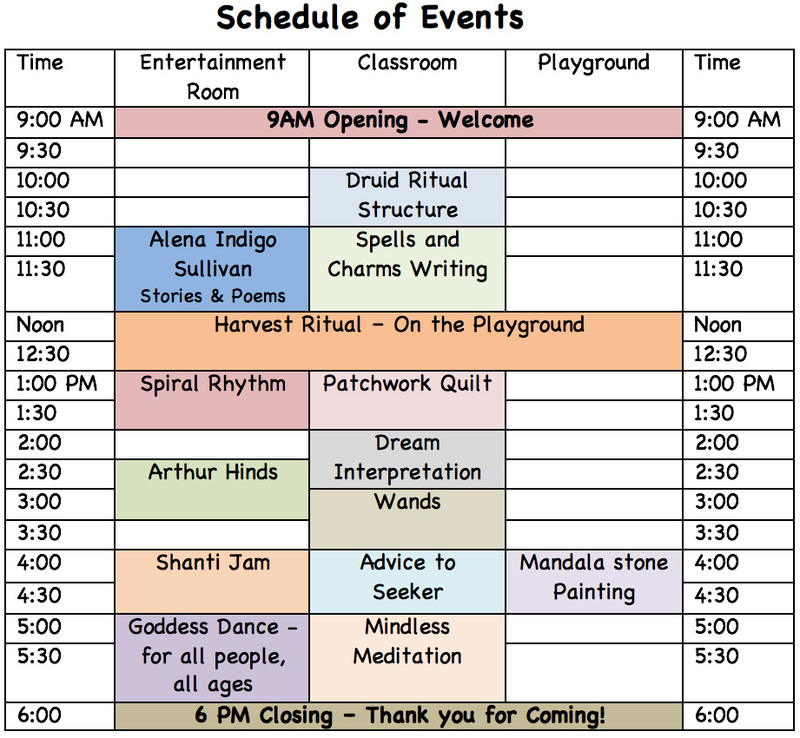 The weather looks like it is going to be beautiful and we have a schedule filled with fantastic folks who are prepared to provide entertainment, teach classes, lead discussions, host activities, and offer a harvest ritual. We also have a full offering of vendors and informational tables both in the front lot and inside of the building, and we have an inside room dedicated to Divination and Reader Tables. *Please remember your cans – one of our main goals of the day is collect food for the Atlanta food bank. Admission is free but if you are able, bring what you can to donate to the food bank. *Parking – Please park across the tracks at the Thankful Baptist Church if you are at all able. It is about a one block walk to the event from the parking (Make sure to walk safely and remember to cross at crosswalks (Trains do use the tracks). Do not attempt to pull into the lot, we will have booths blocking the lot. Other good options are MARTA, Uber, Lyft, biking, carpooling etc. Otherwise, if at all possible, park in the Thankful Baptist Church parking lot. 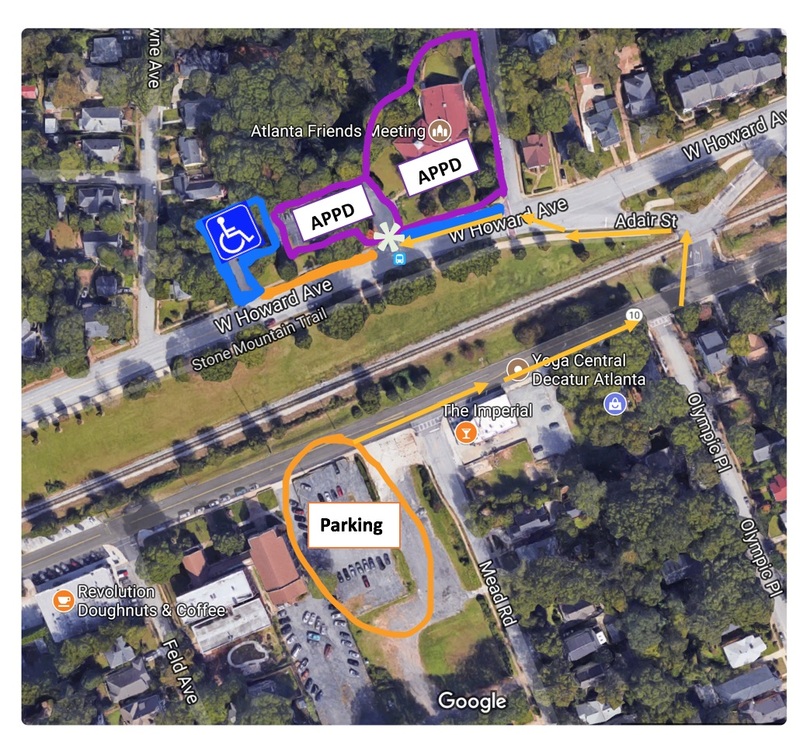 If you have mobility issues, please let our lot attendant or our police officer know at the back of the lot (marked in blue) and we can let you in the back of the lot if there are still handicap spots available. If you park in the neighborhood, please observe all parking laws and signs. * Issues – If you notice any issues, please let us know and, if possible, help us out by working to problem solve. *Requests for Quiet Spaces – Please be respectful of all presenters and performers by not making excessive noise during rituals, classes, or performances. Please silence your phone when in the entertainment room, classroom, or ritual. If you must have a full volume conversation or answer your phone, please step out of the are to do so. *Have Fun – We hope you have a great time. I wanted to take a moment to address some conversations and questions that have come up about the Atlanta PPD being on the same date as Augusta PPD. While it had not been the plan for that to be the case, it is true that we are on the same date. While our events are not that close, about 2.5 hours apart, I know that there are a few people and vendors who like to attend both. To those who are affected by this, I am sorry that you will not be able to do both this year. I would absolutely encourage those who live near or around the Augusta area, or even for those who might want to go see the area, to go to the Augusta PPD and check it out. It sounds like it will be a fantastic day in a lovely setting. I have been in contact with the Augusta coordinator and, while it is not the ideal situation and not what either of us had wished for, we both understand how it happened and have weighed the options and have agreed that for this year we need to share the date. One of the most important things about PPD in this area is that people who want or need a place to go, have a place to go. For some, Pagan Pride Day is the first or only way they have been able to reach out and connect with other like-minded folks. 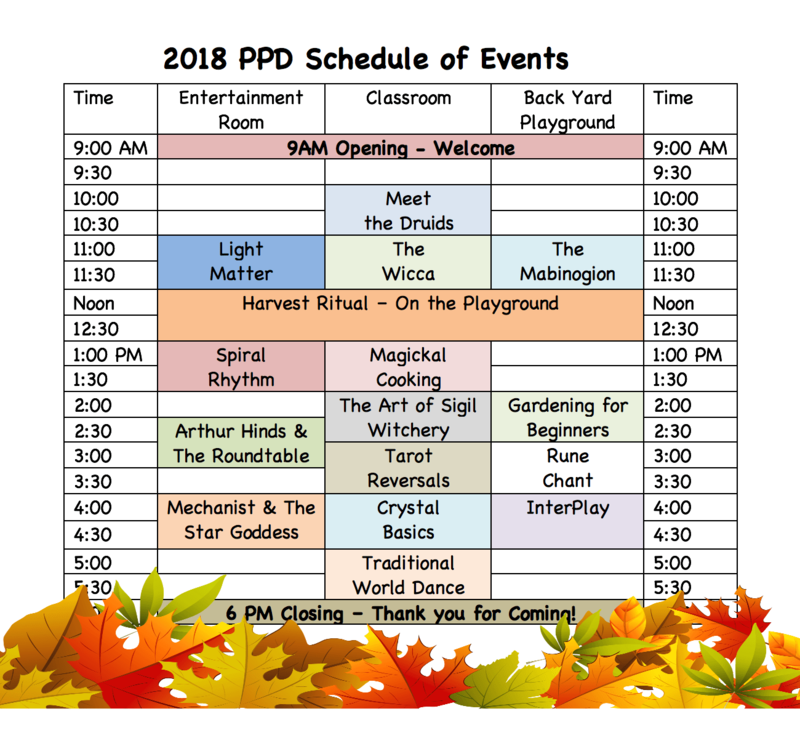 While for many attendees, PPD is a great way to show your pagan pride and to meet up with like-minded friends, I can’t tell you how many people who have told me about isolated they felt until they built up the courage to go to their first PPD. While I wish that everyone could, and would, go to all of the local events, my bigger hope is that those who want or need it can find at least one event which is close enough to them to attend. It is also my hope that anyone who feels affected by this can accept that this was not ill intended by anyone, but it has brought to light some things that need to be modified in our process moving forward. Be assured that we are working on ways to avoid being on the same date next year.